Best headphones 2013 revealed: What Hi-Fi? Awards | What Hi-Fi? 2013 was yet another competitive year for the headphones category in the What Hi-Fi? Awards. With five sub-categories, each with up to five winners, there's certainly something for everyone in 2014. Starting with in ears, and yet again the SoundMagic E10 won the up to £40 category. Still unrivalled at this price, they are a worthy upgrade for your smartphone or tablet. Beyerdynamic triumphed at the £40-£80 and £80-£150 levels with the DTX 101iE and MMX 101iE respectively. The Shure SE425 in-ears took top honours in the £150-£300 category and finishing the in-ear category off are the Sennheiser IE800 in the £300+ bracket. The AKG K451 cans yet again delivered the goods and took the Product of the Year, being our favourite pair in the up to £100 category. The slim, sturdy form factor coupled with exceptional musical quality and, crucially, an even more affordable £50 price, make these a no-brainer. Other highlights saw the Philips Fidelio M1 headphones take top prize in the £100-£200 category and the Bowers and Wilkins P7 'phones win the portable on-ears at the £300+ level. There was only one award-winner for the wireless category in 2013, and it went to the Philips M1BT. Taking design cues from the award-winning M1s, the M1BTs lose the cable but keep the exceptional sound we've already seen from their non-bluetooth counterpart. Fancy something a little more substantial? Try the sensational Grado SR80i headphones. The open-back design means they do leak sound but the sound quality is pheonemonal. 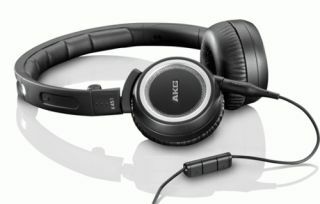 At the top end of this range you'll find the AKG K550 closed-back headphones. Their sheer size makes them more suited to home use, but with airy and spacious sound unlike other closed-backs, they'd be perfect to listen to anywhere. There can only be one winner for best noise-cancelling cans, and yet again, the award goes to the Bose QuietComfort 15. For 4 years now no other set has been able to match this pair's noise-cancelling technology. Partner this with Bose's solid sound quality and you'll see why they're such a favourite of ours. Head over to our Awards 2013 site to see all of our 99 best-in-class winners across 22 categories.